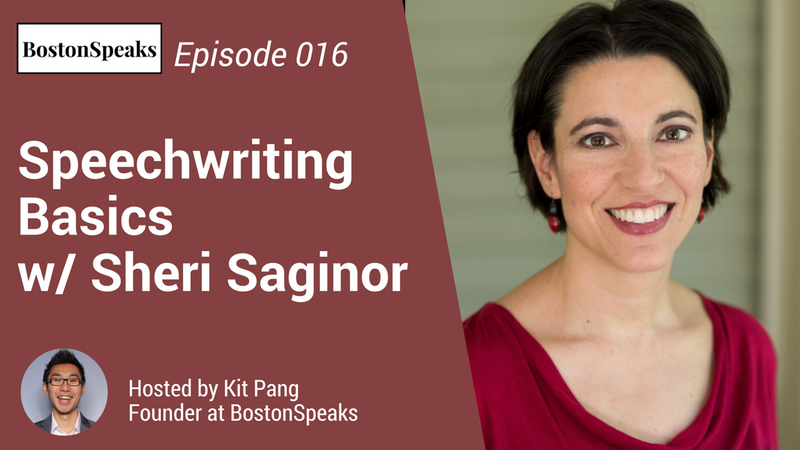 Listen to "Speechwriting Basics w/ Sheri Saginor | BostonSpeaks 016" on Spreaker. Chances are, all of us at some point must write some sort of public remarks, be it a keynote address, an informal talk, or a banquet toast. For some it’s intimidating, and for others a piece of cake. But rarely is it systematic. During this BostonSpeaksTalk with Sheri Saginor, first we’ll discuss why some speeches hold your attention and others put you to sleep. Then you'll hear about a speech structure that you can use no matter what type of remarks you need to write. Then you’ll get proven tips on delivery to help you feel calm and confident onstage. At the end of the discussion, you’ll have a set of tools to use when writing your own remarks. Please join us! Delivery techniques to help you shine your brightest in front of your audience. Sheri Saginor is an award-winning speechwriter and the president of Smart Speeches, a Boston-based communications firm. As a speechwriter and communications consultant, she helps corporate executives and nonprofit leaders inform, persuade, and inspire live audiences. With over twenty years of experience as a writer, speaker, and performer, she brings to her work a true passion for the spoken word.